Q: Where can I find the Master Lock Vault eLocks app? A: The Master Lock Vault eLocks app is available in the Apple App Store and the Google Play Store. Click below or search for "Master Lock Vault eLocks" in the app stores. Q: Why do I need a Master Lock Vault account to register my lock? 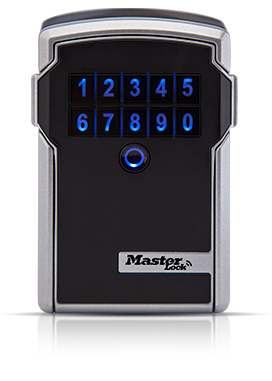 A: Master Lock Vault account ensures user credentials are securely deployed and provides enhanced functionality and convenience to the Master Lock Vault eLocks app. Q: What if my phone is lost or stolen? Q: How do I revoke access to a Guest? A: See Revoke Guest Access. Q: What if my Master Lock Safe Space portable or wall mount Bluetooth lock box battery dies? A: If the lock battery dies while the lock is closed, it can be unlocked using an external battery. See Unlock With External Battery. Can't find the answer you're looking for? Please contact us.